All the activities you can do in Gili Islands, snorkeling, sea food bbq, bike around the island, massage or spa treatment, shopping, cooking class, climb the Mount Rinjani, watch the sunset, climb the view point at 15min of Les Villas Ottalia, horse riding on the beach, yoga, make some Lombok excursions, fishing, surf, golf, stand up paddle and to end nightlife and bars. Don't like scuba diving or just lazy to do it? Don't worry! You can enjoy the submarine treasure just with a mask and a snorkel! The Gili islands do a great job in preserving sea turtles and the coral reef is also preserved by a local eco association so you can spot sea turtles and beautiful coral when snorkeling right of the beach! 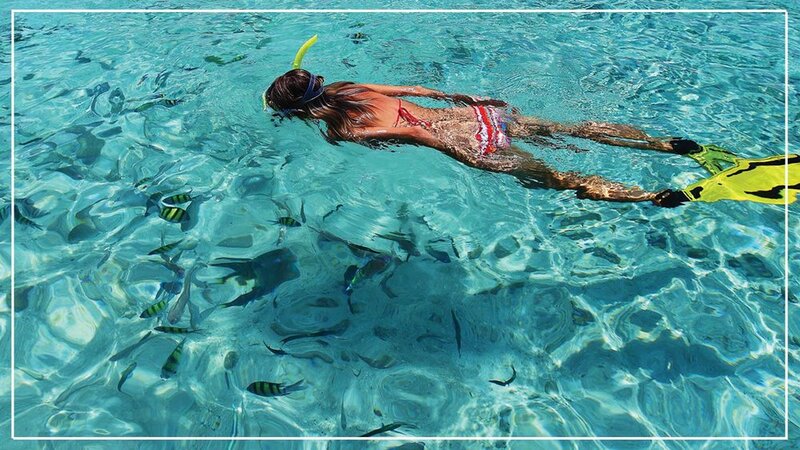 Swimming in crystal clear water with a sea turtle is the perfect way to spend an afternoon! Lobster, shrimp, tuna, mahi mahi, snapper or squid, pick your favorite among the many seafood’s available on the Gili islands. For traditional dinning, walk by the many restaurant with fish on display and pick the one where the fish look the freshest. Anyway if we must recommend one place it would be definetely The 1674, amazing beach restaurant just done the road of Les Villas Ottalia, in our opinion the best seafood bbq of the island! We definitely recommend you to use a bycicle during your stay to have a ride through the beautiful nature of Gili Meno. You can bike aroundin less than an hour, but if you bring swimwear and snorkeling equipment and take time splash in the water a tour along the coast road can turn into a day trip, and why not end up on the west coast around 6pm to enjoy the magnificent sunset? Remember to bring water and to cover your head. Gili Meno offer a various type of boutique and shops! After your afternoon on the beach you could spend some time on the beach front road to shopping! One of our favourite is the Topaze boutique, close to the Gili Divers dive center. This shop is full of amazing local jewels and amazing summer clothes! Whether Indonesian food is your favorite one, or cooking is your hobby, or maybe just out of curiosity... There is no better way to learn Indonesian cooking than once you are in Indonesia. Located in front of the Night Market Place in Gili Meno, ‘Gili Cooking Classes’ will immerse you right in the atmosphere of local life and Indonesian culture. You will prepare every dish by yourself before enjoying a nice and friendly outdoor dinner sitting around the bar. After taking a cooking class, you will be able to test your new found skills at home with family and friends, using our helpful recipe guide or video of traditional Indonesian dishes. Ask our staff, we will book for you a cuisine lesson! A ride on one of the ubiquitous horse-drawn carriages called cidomo is a little adventure and can sometimes even be a bit bumpy, but it's a very nice way to discover the island without get exhausted by a bike ride! Anyway, if you booked with Les Villas Ottalia, as the villa resort is located on the center of the island, you will have to experiment a the Cidomo and the local way of drive! Fasten your seat-belt! 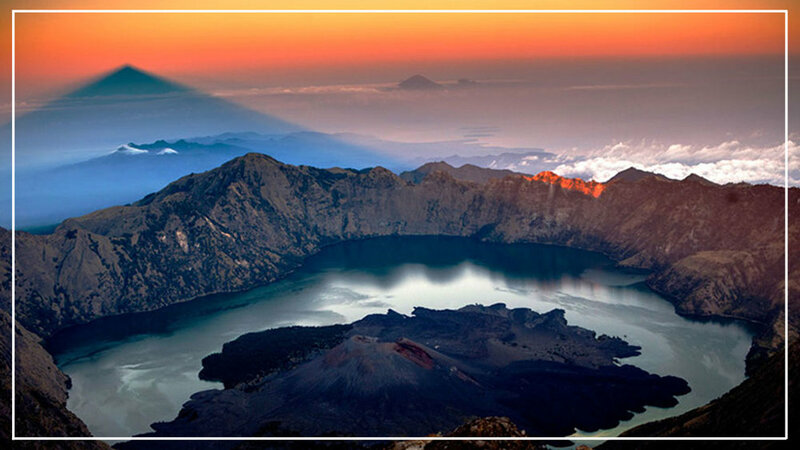 Mount Rinjani in Lombok is known as the most beautiful volcano in Indonesia! The view from the rim into the crater of Mount Rinjani is as spectacular as it gets and is more than worth the uphill trek to reach it. As it's located on Lombok, you have to reach the coast and drive for about an hour to reach the foot of the volcano. Les Villas Ottalia can arrange the tours to Rinjani and can also help you with equipment. Prices and trip lengths vary from 1 day/1 night to week long trekking trips. You generally get what you pay for, so it might be worth paying a little extra to get a decent guide and an upgrade on the food. The climb is fairly hard, so you need to be sporty! Gili Meno is perfeclty placed to see the sun set. 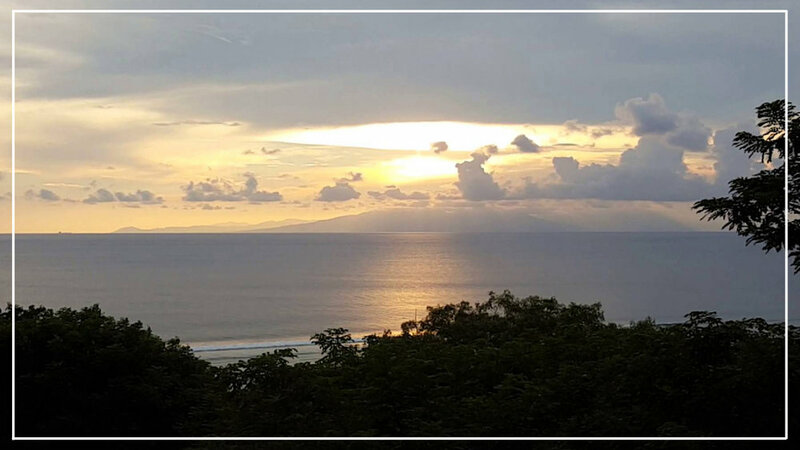 The west coast of the island, situated about 1 min in bike from our villa resort Les Villas Ottalia offers one of the best spot to admire the magnificent sunset over Bali. After a day on the beach what could be more enjoyable than relaxing on sun chair, drinking a cold beer and watch the sun slowly goes down behind the massive Mount Agung? Get a good look of the Gili islands, Bali and Lombok from the highest point on Gili Meno. The hill is located on the southern end of the island and can be reached within half an hour from most places on the southern half of Gili Meno. The view point used to be great for watching sunsets, but as the trees have grown it is better to watch the sunset from the beach. The view point is situated about 15 min in bike from Les Villas Ottalia. A fun and relaxing way to traverse the island of Gili Meno is by horseback. Stud Horse Riding Stables offers well groomed horses and experienced riding guides. The terrain is flat and undemanding and can also include a romantic canter through the surf for experienced riders. Horseback treks can be booked through Les Villas Ottalia. Ask our front office for price and details. In terms of nature and culture, Lombok has to offer everything. It doesn’t matter whether dream beaches, a volcano, waterfalls, rice fields, mosques or Balinese temples. It is definitely worthwhile to stay there for a couple of days. Les Villas Ottalia can arrange for you daily trip to Lombok or advice you for a place to stay. What a perfect place to discover Yoga! Gili, with its peaceful environment and its rich nature offer the perfect cadre for the Yoga relaxation and meditation. We provide Yoga classes here in "les Villas Ottalia", Yoga classes. It will be daily at 5PM and price is IDR 120,000.000 per person. The yoga styles are Vinyasa Flow and Yin Yoga. Get in touch with us at the reception to schedule your Yoga course! Fishing is one of the best activity you can have on the Gili Islands, indeed all the local habitants are issued from fisher man from Sulawesi! Spend your day on the boat, cruise around the Gili's and wait to catch a fish! Then get back to the island and ask us to prepare a delicious BBQ fish on the beach! Despite that Gili Islands are principally known for the dive sport, Surfing is also good here! Gili Meno has a fast right hander which can really pump with the right conditions. The best waves are at high tide, and the underlying reef can be sharp so booties can come in handy. The surf break is at the end of the main street towards sunset beach. There are a few breaks off Gili Air and Gili Meno, but they are more difficult to reach. Lombok Golf Kosaido Country Club, the only international 18 holes championship course of Lombok, and fortunately it is located just in front of the Gili Islands in the north of Lombok! So if you fancy to put, our villa resort Les Villas Ottalia can arrange a package all included from transport to and from the golf course. Yes of course! Why not simply lay down in the white sand and let the warm sun tanned you up? Gili Islands offer some of the most beautiful beaches in Indonesia, and if you head to Gili Meno or Gili Air or even in the north of Gili Meno you can still enjoy a desert and fabulous paradise beach just for yourself! Explore the Gili islands from a stand up paddle is a unique way to discover the amazing beauty of those Island. If you are lucky enough you might end up paddling with manta rays or sea turtles next to you. It's a very pleasant way to spent a morning in the Gili is to take a ride on stand up paddle! We would recommend you to do this activities on the morning, cause on the afternoon the currant might be stronger. Our villa resort Les Villas Ottalia in partnership with Le Cafe Gili can arrange a rental stand up paddle board. Ask our front office and we will arrange it for you! Nightlife on the Gili Islands used to be restricted to Gili Meno only Monday, Wednesday and Friday, but these days the island seems to come alive every night. Thursday is usually quite due to Muslim customs. Head to the liveliest stretch on the coast road and let the music guide you to the party.